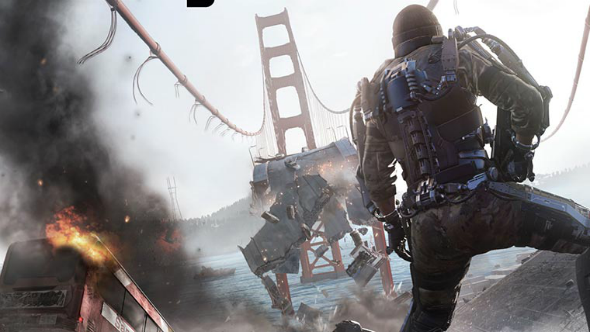 Sledgehammer Games company has published the new Call of Duty: Advanced Warfare video. It tells about the creation of the main game’s story, on which the shooter’s plot is based. In the latest Call of Duty: Advanced Warfare video, the project’s creative director - Bret Robbins - explains how the developers have managed to achieve the maximum realism while narrating about the events in the distant future. The studio has had recourse to the servicemen from the different branches of troops: Delta Force, Marine Corps, etc., - who shared their experience and provided the consultations concerning the given questions. Besides that, according to Bret Robbins, the futurists - the people, whose main task is to predict and plan the future, - also have taken part in creation of the new part in the game series. They have worked on the shooter’s world, the new types of weapons and the military armour. And finally, the new Call of Duty: Advanced Warfare video shows us, how modern technologies of the performance capture and animation have been used during the game’s development. They make the project’s characters maximally lifelike and similar to the real actors. The next part in the shooter series is set to be released in November 2014 on PC, current and next-gen consoles. Did you like the fresh Call of Duty: Advanced Warfare video? We’ll be glad to see your answers in the comments below.